Savannah-Chatham Metropolitan Police rescued two different animals across their jurisdiction Tuesday. 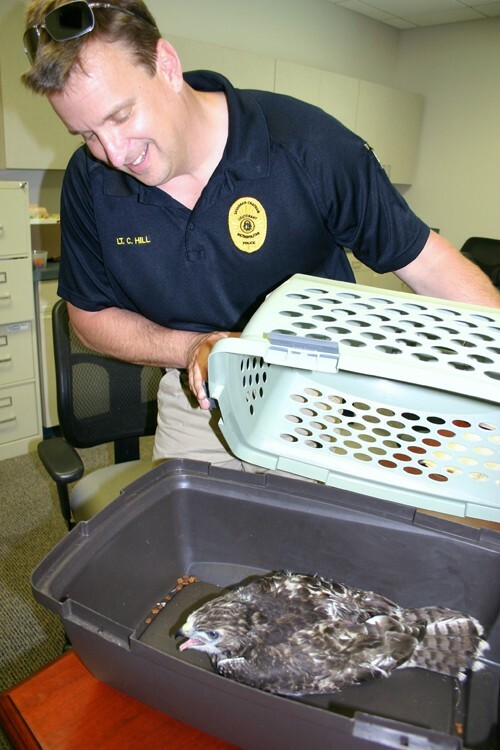 Animal Control officers recovered an injured hawk in Lake Mayer while Islands Precinct officers were untangling a cat found hanging by its broken leg on a fence top in east Savannah. The juvenile red tailed hawk was captured via a blanket. It had an injured leg and other issues. “He didn’t even try to fly away,” said Lt. Carey Hill, who leads the Animal Control Unit. The bird has been taken to a rehabilitator to be nursed back to health. Patrol officers found the cat, believed to be a pet, hanging from a fence on Louisiana Avenue about the same time. 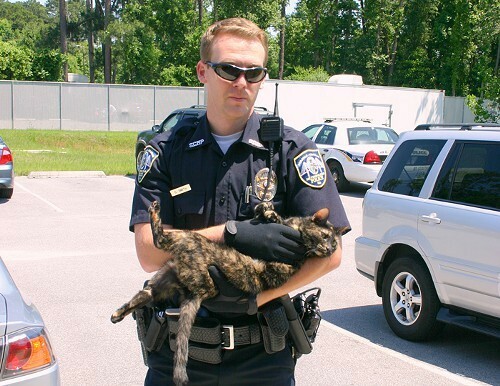 "The cat put up no fight and cuddled in officer Clayton Smith’s arms while being transported the Animal Control shelter for medical treatment," police say. "Animal Control officers are attempting to identify the owner of the cat. If not, it will be offered for adoption once the medical treatment has been completed."